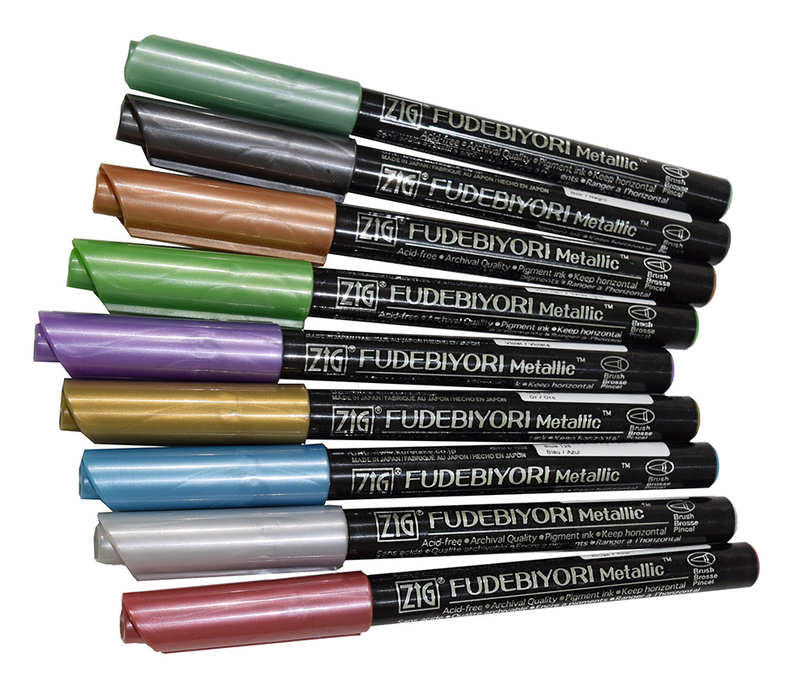 A favorite by both artists and calligraphers, the Fudebiyori metallic brush pens work great for sketching, coloring, multiple brush lettering styles, and more. Smooth color laydown that really pops on both light and dark papers! 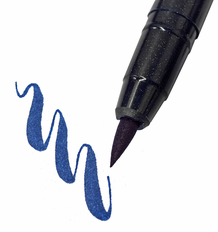 Flexible yet durable fiber brush style tip allows you to make both thin and thick lines. 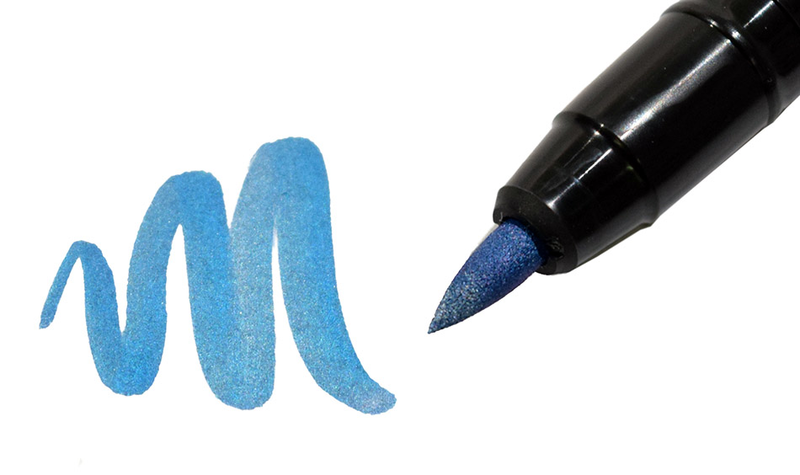 Water-based pigment ink is photo-safe, acid-free, light-fast, odorless and xylene-free. 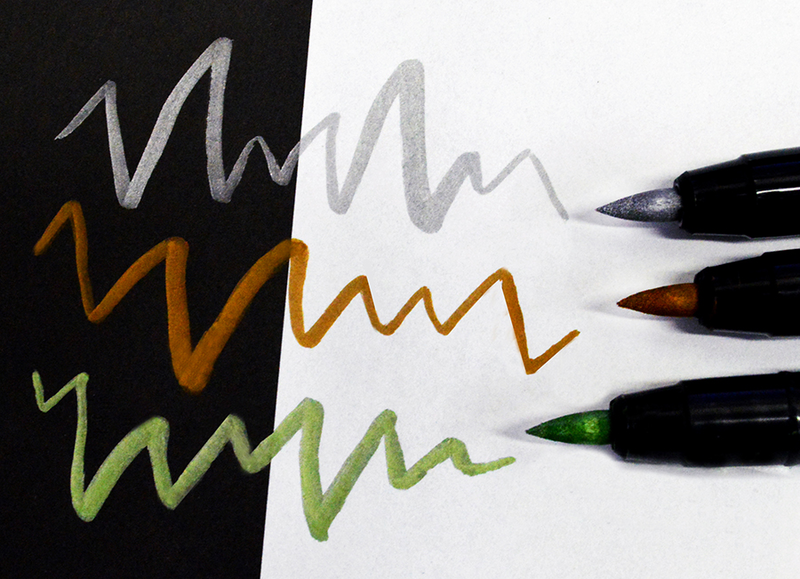 The Zig Fudebiyori brush pens are also available HERE in 48 brilliant colors!